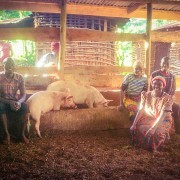 The ADK family has successfully paid for their son’s first year of vocational school by selling chickens and pigs. 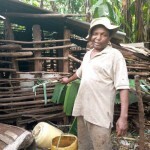 The family began keeping livestock after they joined a Lishe Bora-supported VICOBA community bank. At the start of 2019 they sold chickens to pay their son’s school fees of 180,000 TZS (US $79). In 2016 the ADK family got a loan from their VICOBA to buy 10 chickens and 3 pigs. By the middle of 2018 they had over 100 chickens. 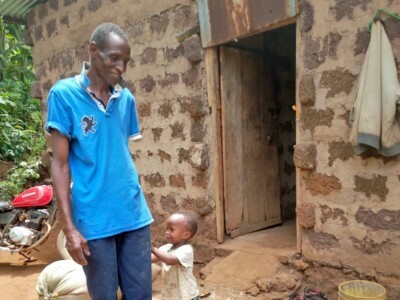 They sold 50 chickens – 20 helped pay for home improvements and 30 helped pay school fees. 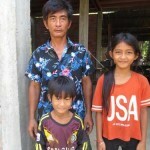 Their son is now studying cooking at vocational school. 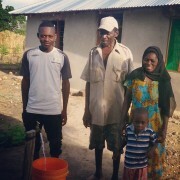 The family’s major challenge is water access. They get water from a stream near their house. 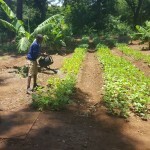 They give the water to the chickens and pigs and also water their vegetable garden with it. When they sell vegetables they use the income to buy chicken food, so when the stream dries up it affects a number of their income sources. 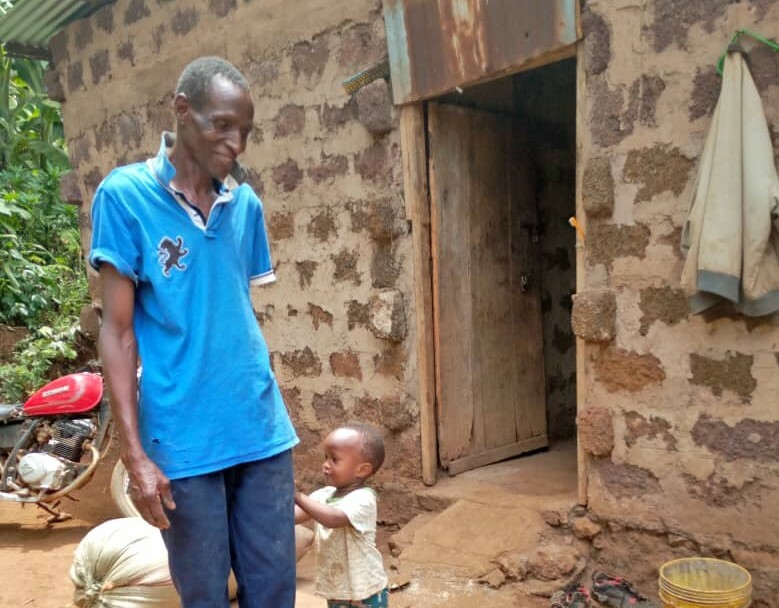 The family hopes to finish putting their son through school and then begin saving to put their grand-daughter through school. She is in kindergarten now.